As the parent of a seven-month-old baby, eating out these days is a bit trickier than it used to be. By the time you pay for a babysitter for a few hours, it can also be quite an expensive night out. But the thing is, I love my food. Never one to miss out on a good meal, I’ve taken to hunting down delicious recipes to cook at home. Valentine’s Day is just around the corner, and I’m on a mission to collect a sumptuous selection of recipes so I can plan the perfect Valentine's meal with my husband. I’d love to share some of my favourites here on our blog with you, so keep checking back over the next couple of weeks for some darn good dishes. Using some extra butter, grease the dariole moulds on the inside and allow the butter to set in the fridge, repeat this process so you have two layers of butter. Melt the chocolate and butter in a metal bowl over the top of a pot that is lightly simmering with water, alternatively you can melt them in short bursts in the microwave. In the mixer, combine the eggs and sugar and beat on a medium/high speed until the mix is white and leaves a trail in itself (ribbon stage) about 10 minutes. Sift the flour into the creamed egg and sugar in two batches, folding through the flour between additions. Pre heat your oven to 200 degrees, you will need to test bake a fondant to get the timing right. When the oven is hot place a fondant on a tray in the oven and allow to cook for 7 mins. When it is cooked, turn it out onto the tray it was cooked on and allow any excess butter to run off, leave the dariole mould on the fondant to allow the outside to set fully. Remove the dariole mould and break open the fondant, it should be soft and gooey inside. If your fondant was completely cooked through, reduce the cooking time. If the fondant was too fragile and broke too easily, increase the cooking time. Serve with some seasonal fresh raspberries, and ice cream or crème fraiche. 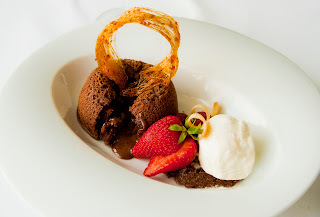 Esca Bimbadgen Restaurant is located within Bimbadgen Winery in the Hunter Valley, NSW. Bimbadgen Winery is a must-see winery the next time you are in the Hunter and boasts an expansive cellar door and modern tasting rooms, café, accommodation, outdoor amphitheatre, and of course the award-winning Esca Bimbadgen Restaurant. Open 7 days for lunch 12pm – 4pm. Dinner Wednesday to Saturday nights from 6pm. 1. The best gift I ever received was…a trip to Fiji for my 30th Birthday. It was just the best holiday, so relaxing and rejuvenating and exactly what I needed. 2. The top gift on my wish list is…I would really like a nice sun lounger chair so I can chill out by the pool this summer, read magazines and catch some rays. 3. The best gift I have ever given was…I gave my husband a flight in a jet fighter plane for his 30th birthday a few years ago. Even just watching from the ground as a spectator was thrilling, and he just loved it! 4. The hardest person I have ever had to buy a gift for was/is…my dad is usually quite hard to buy for as he has everything. 5. 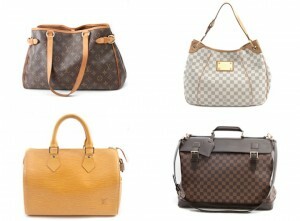 The best last-minute gift is…I think you can't go wrong with gadgets for guys and spa/beauty treatments for the girls. 6. My hot gift buying tip is…buy something personalised, the personalised prints at www.MySweetPrints.com.au are always a winner with family and friends. Janette Baker is a Sydney based graphic designer, who along with her sister-in-law Sue, created www.Wallstudio.com.au - a collection of beautiful, on-trend canvas art. Wallstudio art comes with the option of adding Echo Reduction for acoustic benefit; transforming noisy open plan houses with stunning art that is practical too! 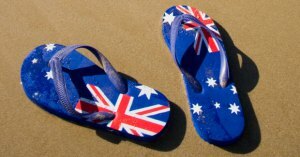 Are you ready for Australia Day 2013? It’s that time of year when we stock up on beer, dig out our Aussie flag and reach for a snag. So if it’s Picnic or BBQ, this top ten will see you through. Be True Blue - get some meat on your plate and say ‘cheers’ to your mate! 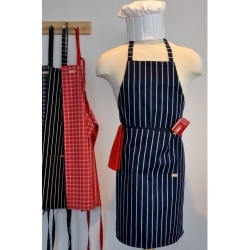 SPECIAL OFFER: Receive FREE DELIVERY on all Mr Gift orders placed before 5pm Thurs 31/1/2013. Simply enter Coupon Code 2013 when you checkout. This offer can’t be used in conjunction with other offers, but feel free to pass this Coupon Code onto your family and friends. If you’re lucky enough to be nominated BBQ chef this Australia Day, take the guess-work out of cooking steak to everyone’s taste with these handy Steak Gauges – they’ll take the heat off you this weekend. 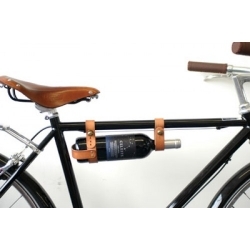 If you want to take a cheeky bottle of wine on your next bicycle picnic, check out Oopsmark’s cool leather wine rack, designed specifically for bikes. It’s a little bit retro and very romantic. Also available in black. If you need to cut, screw, file or open a can, Troika’s Toolegance Multi-Function Tool is your go-to gadget. Perfect for camping, barbequing and picnicking. 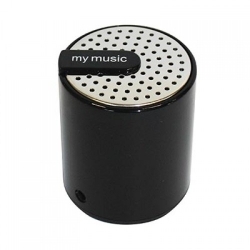 This handy speaker is perfect for music-making on the go. Light weight and easy to use, it’s great for the great outdoors. 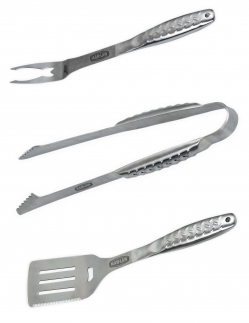 This sturdy BBQ set is for the hard-core BBQ chef who values quality products made to last. 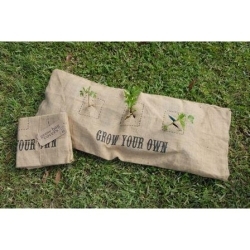 If you’re planning on getting out in the garden this weekend, check out these groovy Grow Bags. 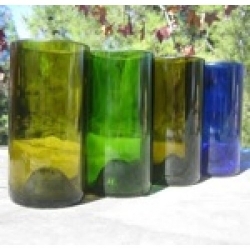 They’re ideal for small spaces, balconies or as a temporary garden for renters. The Air Chair is the ultimate way to unwind this Australia Day. 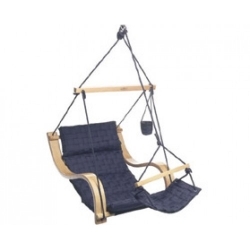 Forget the old unstable hammock and recline in style. This chair even has a drink holder! Many a happy childhood memory would involve a picnic (or BBQ). 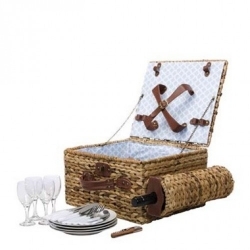 Recreate those happy times with your partner and family by investing in a good quality picnic basket like this one from Sunny Life. Check out our SALE ITEMS for more bargains. Our blog also has some great Top Gift Tips and Ideas, such as our Top Ten Gifts for Beer and Wine Enthusiasts. Have a ripper Australia Day! Ok, so you’ve probably heard about the benefits of decanting and aerating wine. Basically, decanting opens the wine up, releasing its aromas and resulting in a smoother, more mellow drink (read more about decanting here). If you want a quick and easy way of decanting that doesn’t involve getting out the old decanter, check out the Nuance Wine Finer. It’s hands down the quickest and easiest way of decanting. Once you’ve tried it you’ll never drink another bottle of wine again without it. Do you always finish a bottle of wine? No, really? Think about how many bottles of wine you’ve thrown out because you haven’t finished them and they’ve gone bad. If you’re reluctant to open a good bottle or a bottle mid-week for fear of not finishing it, check out the Longitude Wine Preserve. How many times have you bought some delicious European beers and then spend ages scrabbling around in that second kitchen draw trying to find your bottle opener? If you never want to lose your bottle opener again, get one that you’re proud to keep on display. 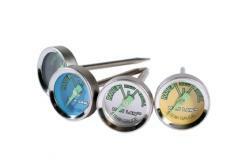 The Nuance Bottle Opener is as effective to use as it is pleasing to look at. Don’t risk getting done for Drink Driving. Monitor your blood alcohol level with this handy breath tester key ring. It even detects 0.02% BAC, so you can gauge how close you are to 0.05%. Everyone needs a personal hip flask and this one’s a cracker. One side reads: “Booze Pour Homme” and the other reads “Pub in my pocket”. Great size that will fit in most pockets. Love it! How hard is it to find decent port glasses these days?! Try something different and give these traditional port sippers a go. Port sippers enhance the flavour of your port or fortified wine and this design has been around since the 1700s. The emergency is when the glass is empty. *Disclaimer: If you’re capable of writing at the time or can remember anything the next morning. This cool glass looks like the neck of a beer bottle that has been turned upside down. The silicon lid also acts as a coaster to protect your table tops. Never let that bottle get away again. Keep a record of the wines you try and enjoy (as well as the ones you don’t) so you can buy more (or never drink them again). See Disclaimer for Beer Journal. 1. The best gift I ever received was… a trip to Gold Coast’s Broadbeach. Sunshine, fresh air & endless beach. What can you ask for more! 3. The best gift I have ever given was…a high performance road bike for my husband. He's riding it to work every day. So proud of him! 5. The best last-minute gift is…Myer Gift vouchers. 6. My hot gift buying tip is…Buy Lindor Chocolate for your friends! Hardly anyone can resist a bite of Lindor. Yvonne is the owner of www.bagsofcharm.com.au, an online handbag retailer offering authentic pre-owned luxury designer handbags and accessories at fantastic value. You know you're onto some great products when you're looking at a product range and find yourself laughing out loud. This was our reaction when we first saw The Bright Side range. The luggage strap, 'Did Someone Say Upgrade' was the deal-sealer for us introducing this brand to the Mr Gift product mix. The Bright Side products are the creation of Rachel Bright; printmaker, illustrator and writer. Working as a designer and illustrator in the UK for the last 10 years, Rachel has an extensive creative background, having worked for companies such as Smythson of Bond St, Usborne Publishing, ThirtyThree and Richmond County Council. Rachel has also done commission illustration work for Bristol Design Guild and Charnwood. Two children's books have also featured amongst Rachel's latest projects. We love the humour and quirky style Rachel brings to The Bright Side range. The Bright Side specialises in unusual, yet useful products: from homewares such as Man Tins, coffee cups and the hilarious Emergency Man Fuel beer glass to the We've Got a Bleeder sticking plasters for little bumps and accidents and the Man Lists notebook - there's something that every man would find useful (and a bit funny too!). For a gift that will put a smile on your recipient's face, you can't go past The Bright Side. What's your New Year's resolution for 2013? 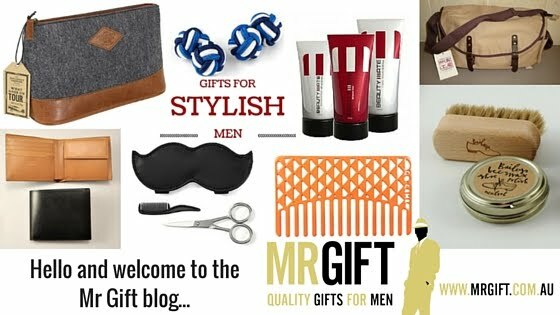 Mr Gift has all of your gifts for guys covered this year, and you don't even have to leave the house! My New Year’s resolution last year was to get better at keep in touch with friends. FAIL. Ok, so I did have a couple of excuses: a new addition to our family, a new business, moving house…you get the picture. Looking back now though, I suspect the error of my ways was that I didn’t plan how I was going to keep in touch with people. Phone? Email? When and how often? So this year I’m going to try again, but with a better strategy in place. My goal is to email or call a different friend every two weeks. And I’m going to block out time in my diary to do it. In our professional or personal lives, goal setting is a good way of getting things done – taking that big, scary job and breaking it up into smaller, more manageable bits. Whatever your dreams and goals are for 2013, we hope you achieve them all with a little bit of thought and planning. The perfect wedding, engagement and housewarming gift or gift for guys who love their kitchen gadgets. This pack of 20 napkins is a great party conversation starter. Find places you have been to, or would like to visit on these maps of London, New York and Paris. Timing things has never been so much fun with this handy little cube timer. Each side of the cube times for 3, 10, 30 or 60 mins. This stylish lamp is a great gift for the home or office. The simple, streamlined design of the Z lamp will suit the décor of most homes, whilst serving as a useful gift. A smart toilet bag always makes a great gift. This light-weight PVC coated case is simple, stylish and easy to keep clean. This high-quality travel mug incorporates the solid feel of a ceramic mug with the light-weight durability of bamboo - an essential for your daily cuppa. They just don't make measuring jugs like these ones anymore. This ceramic jug feels sturdy - just like a vintage jug you'd find in your Grandma's kitchen cupboard. Also available in 250ml and 500ml sizes. The Paper Pot Press offers an alternative way of recycling your old newspapers by turning them into biodegradable paper pots. This handy tool kit has a great selection of tools suitable for many DIY jobs and repairs around the home and office. Also a great kit to keep in the car glove box or the camping box. If you work outdoors, there's probably been a few occasions where you've struggled to remove your dirty work boots. Struggle no more with the help of this simple yet effective oak bootjack. Check out our other SALE ITEMS for more bargains. We have lots of new brands and products on the way, so keep checking our New Products section for more gift inspiration throughout the year. We wish you a fantastic 2013 and hope the year ahead is full of rewarding experiences and happy times.